Featuring Chris Gavin, CEO and Marketing Guru, Digitech Marketing, an experienced entrepreneur, investor, finance wiz. Takeaways will include where to market in 2018 to get the best ROI on your marketing investment, and what the next 2-4 years look like in Social Media. 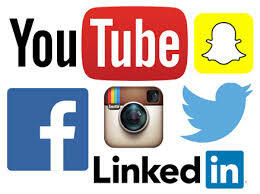 Social media, such as Facebook, LinkedIn and Twitter can help you connect with their huge audiences in the U.S. and abroad. Used properly, they can boost your connections for your career, business and even personal life. But they can also, if not used wisely, waste huge amounts of time and money. Digitech has averaged triple-digit percent increases in revenue working with hundreds of companies nationwide - from small startups run out of garages to multi-billion dollar businesses. The company has created attention-getting – and results-generating - content, including live action and animated video content. Digitech’s growing clientele includes businesses in an increasing range of industries. These include healthcare software, food service, non-profits, healthcare providers, cryptocurrency, retail, home services (power washing, landscaping) and wholesale distributors. Cutting CPM (Cost Per Thousand views) costs down to half of the Facebook average. Chris Gavin is an entrepreneur, investor, finance wiz, and marketing guru. His love of business began at the age of 8, when he created a charitable restaurant that went on to raise tens of thousands of dollars for children with cancer. 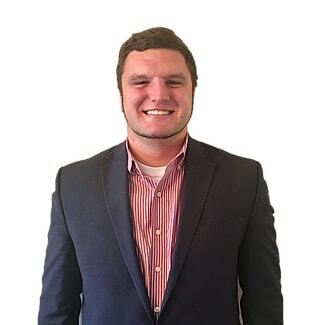 As an adult, Chris gained business experience working in insurance, E-commerce, and digital advertising. Georgetown University, recognized as an award-winning entrepreneur for his innovative, online discount retailer, Rocket Bargain, wh ich ended with a successful exit. Two key factors have led him to his current roles as CEO, and Marketing Guru, of Digitech Marketing. One is his deep knowledge and understanding of social media marketing, web design, and digital advertising, gained as the CEO of Rocket Bargain. The second is formal training in sales and marketing from some of the best mentors in business today. Chris also manages a family investment fund that is averaging a 33% annualized return. Chris currently also owns an equity stake in over 10 startup companies nationwide. He attended the McDonough School of Business at Georgetown University and was a participant in the University’s Division 1 Football Program. Chris finds it stimulating to spend time perfecting his skills with his continuous studies of cutting edge technology, new digital platforms, and the business marketplace. He enjoys educating others, lifting weights, basketball, football, golf, and of course, spending time with his family and girlfriend. University Club Transportation: METRO: Near Farragut N and McPherson Square. Also, Valet Parking available. ... a total of 22 guests. Click here to REGISTER for this Event!! !